* Fast browsing with 2 fingers for a month and 3 fingers for a year. 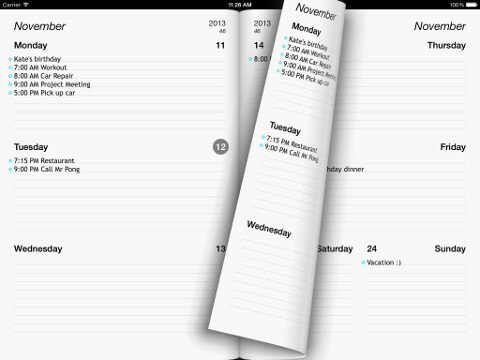 * Tap on the day title ('monday') for a day calendar view. * Tap on top of the page for a menu bar. From there you can select your calendars, return to the current day and access a help popup.